After redesigning and then running for two-years the iconic 'Brigade Squad' 8-week potential officer leadership course for a part of the British Army, I left the military and entered civilian life. Since then, as a coach and adviser, I help develop leaders and teams in organisations. During this time, I have always noted this fascination by business people with the military. This was brought much more into the fore during the military campaigns in Iraq and Afghanistan. What I am noticing now is that many of the leadership behaviours used by the British Army are being adopted more and more in successful corporates. 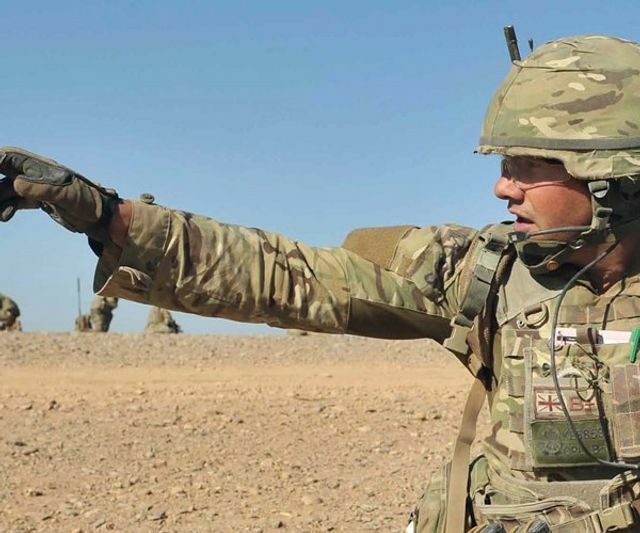 So what are the British Army's Leadership Behaviours? There are seven, and they can be remembered by the mnemonic LEADERS. All leaders are role models, and you must demonstrate your values in everything you do. By consistently doing so, you will be considered an authentic leader, as a Manager, Director or CEO who 'Walks the Walk' as well as 'Talks the Talk'. Amongst others, it promotes INTEGRITY. The brain, like a muscle, develops through use. You must encourage those you lead or manage to think by giving them problems that stretch them. Get them to 'think outside the box'. Giving your staff or direct reports the opportunity to think and suggest ideas demonstrates your RESPECT FOR OTHERS and generates trust and confidence which builds LOYALTY in the team and organisation. We all enjoy being praised and reward recognises effort which inspires further endeavour and motivation to do even better. Never underestimate the value of a 'Well Done' or 'Good Effort'. A reward should be constructive. Discipline is also required when there are failings or a lack of INTEGRITY. The British Army prides itself on being the best, even when budgets are being cut. You must have high-performance expectations and communicate them to their teams. A word of caution, performance expectations must be tuned to the team's capability and achievable otherwise they can be demotivational. You must inspire and motivate your teams to achieve. This is done by demonstrating confidence in their abilities and talking enthusiastically about success. Reinforce the importance of teamwork and show trust in your Directors and Managers reporting into you. Everybody in your team, department or company have something to offer, and everybody has skills requiring development. You as the Leader, Manager or Director must identify those individual strengths and weaknesses and address them accordingly to ensure that your team fulfils its potential and all it can achieve. Strengths must be played to, and challenged to inspire confidence and motivate additional effort to stretch even further. Always seek to optimise performance. Weaknesses must be addressed and discussed in an understanding and considerate manner. Focus on the cause of the problem and the potential to improve, rather than the outcome of the weakness. This is where you act as a coach, as well as a leader. Teams will always achieve more than the individual, but the difference between good and great teams are usually the degree of team spirit that bonds them together. Challenging the team to accept and strive for shared goals will create a shared purpose, bind them together and foster esprit de corps. If you found this article interesting and want to develop leadership skills for yourself, your team or organisation, please contact us.